Zwift, the global online fitness platform for cyclists, has seen its first round of 2018 top graduates emerge from the Zwift Academy to move closer to a professional cycling contract with top ranked professional men’s and women’s teams – Team Dimension Data and CANYON//SRAM Racing. 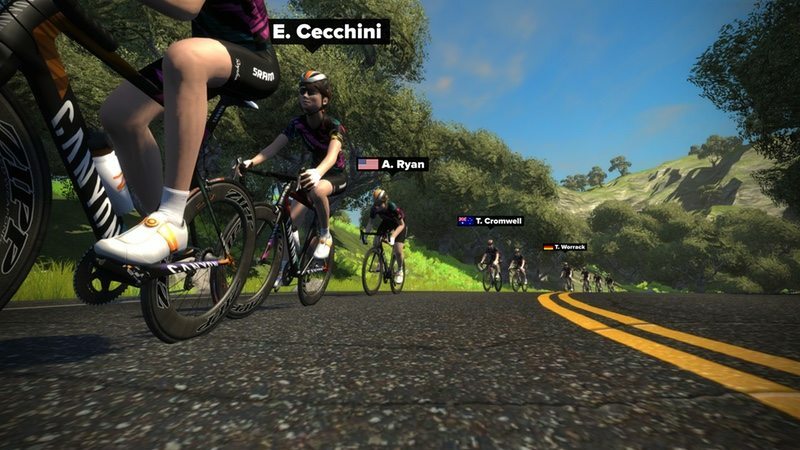 The 20 semi-finalists, 10 under-23 men and 10 women from around the world, completed a structured program of group rides, races, and workouts over an eight week period, exclusively in the online cycling environment of Zwift. Starting on 15th October these 20 athletes will continue to the next round of cycling tests to determine who will advance to the finals at their potential team camps. All Zwifters will be able to follow the journey of the semi-finalists and complete the semi-final workouts themselves. The Zwift workout sessions will be made available in game on Zwift from later this month. This year has seen 5,000 women take part in the CANYON//SRAM Racing | Zwift Academy, over double the number of participants from 2018. For many, the Academy provides an opportunity to take part in a social global online training camp. Zwift notes that completing the 10 Workouts, Four Group Rides and Two Races is an achievement in itself. However, for a select few, the Academy is a seen as a unique opportunity to achieve a professional contract at the sport’s highest level. Last year’s winner, Tanja Erath has just finished a successful season with the CANYON//SRAM World Tour team. Her first season saw her play an important role in races such as the Tour de Yorkshire and she even tasted success, wearing the sprinters jersey at the Tour Cycliste Féminin International de l’Ardèche; she took silver in scratch race at the German National Track Championships and also represented her country at the Lotto Belgium Tour. The 10 semi-finalists from the Team Dimension Data | Zwift Academy emerged from a staggering crop of 30,000 cyclists from across the globe. These riders will now compete to win one of three places at the Team Dimension Data training camp in South Africa, and ultimately a professional contract with their U23 development squad. CANYON//SRAM Racing | Zwift Academy riders will receive Wahoo KICKR trainers and Rapha kit while the Team Dimension Data | Zwift Academy Semi Finalists will each receive Elite Direto smart trainers. In addition, 20 twenty semi finalists will receive SoleStar KONTROL cycling insoles. Following the end of the semi finals, 20 will become six. These six finalists (three from each program) will travel to their respective week-long team camps in Cape Town, South Africa, and Malaga, Spain to ride and complete structured drills with their prospective teams after which, two professional contracts will be awarded.